Throughout his 28-year real estate career, Realtor® Dan Soderstrom has always focused on personally representing his clients’ interests from the start to successful conclusion of a transaction. Whether you’re a first time Buyer or seasoned investor, Dan works to make you feel comfortable with the real estate sales process and the myriad of issues involved. He strives for quality transactions as opposed to quantity or a “numbers approach;” attention to details rather than overlooking them or delegating them to a flock of assistants. From your initial meeting with Dan to close of escrow, he’ll work with you to get the job done right, keeping you fully informed every step of the way – a level of service a mortgage broker doubling as an agent or a self described “mega producer” heading a “team” can’t and isn’t willing to give you! Dan is a life-long resident and second generation Burbank Realtor® with a consistent track record of award winning production. 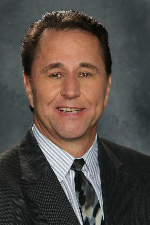 He is a “founding member” of Burbank’s most productive and professional real estate brokerage, Dilbeck Realtors. Contrary to some agents who claim to be “experts” on virtually all cities and areas that make up the Los Angeles region, Dan has always kept his focus on his hometown – Burbank. As a result, he has an in-depth knowledge of the Burbank market and the many factors that influence it. Whether the subject is distressed property sales and their effect on the Burbank market; proposed development projects and possible impacts; point of sale government mandated ordinances; or simply knowing who the local “players” are, Dan will always be able to provide you with the broader Burbank marketplace information that can often be the difference in making a wise real estate decision. Contributing to Dan’s Burbank market knowledge was his completion in 2005 of a nine month City/Chamber of Commerce sponsored study program, Leadership Burbank. Dan has remained active with the program, being elected to the Leadership Burbank Alumni Association‘s Board of Directors in 2010. He also served as a member of the Board of Directors of the Burbank Community YMCA (2008-’11); member of the Burbank City Council appointed “Blue Ribbon Task Force” charged with reviewing and crafting new code standards regarding walls, fencing & landscaping in Burbank (2006-’07). Additionally, as a career long and active member of the Burbank Association of Realtors, Dan was elected by his peers to five separate terms as a member of BAOR’s Board of Directors and has long been noted among his colleagues for his honest and always professional business practices. And in 2009 the Burbank Association of Realtors awarded Dan with the “Lifetime Achievement Award” for his service to the Association and the Burbank community. He is one of the youngest BAOR members ever to receive this prestigious award. Perhaps this “need to know” regarding local issues and their effects on real estate, stems from Dan’s educational background. He earned a BA in Journalism (1982) from California State University, Northridge and has found his “journalistic skills” – namely the ability to effectively communicate both verbally and in writing, to be invaluable in successfully representing his clients.